This was the groups debut record as The Coasters, their previous, and first for Atco, was as the Robins. 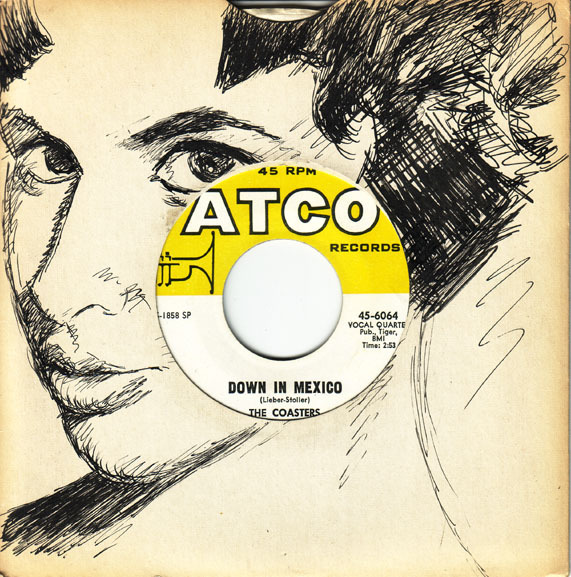 Down In Mexico was written and produced by Jerry Leiber and Mike Stoller and recorded in Hollywood with Carl Gardner singing lead, the group saw their stock rise and their career take shape with this their second novelty number on Atco. At this time The Coasters were still a West Coast group, they moved to New York two years later. This is a 1970s pressing.